my sweet old etcetera: Bourdain is Back! The new season of "No Reservations" begins this Monday and this time, Bourdain is going to be hitting up Australia, Sardinia, Thailand, as well as the United States. I am beyond excited because you know I am a huge Bourdain fan. 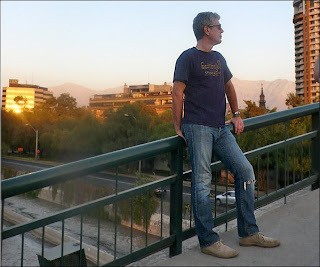 I am so excited that I decided to create a new blog especially for "No Reservations" and Anthony Bourdain. I will still be receiving previews and video clips from Ingrid for the new season, so if you'll want to keep track, you will need to follow me on my new blog: I travel, therefore I am. I've already got 2 posts going, including a sneak peek of Monday's premiere episode which you'll definitely want to see. I'd love to hear your thoughts on my new site. I've left a comment! (: Tee hee.